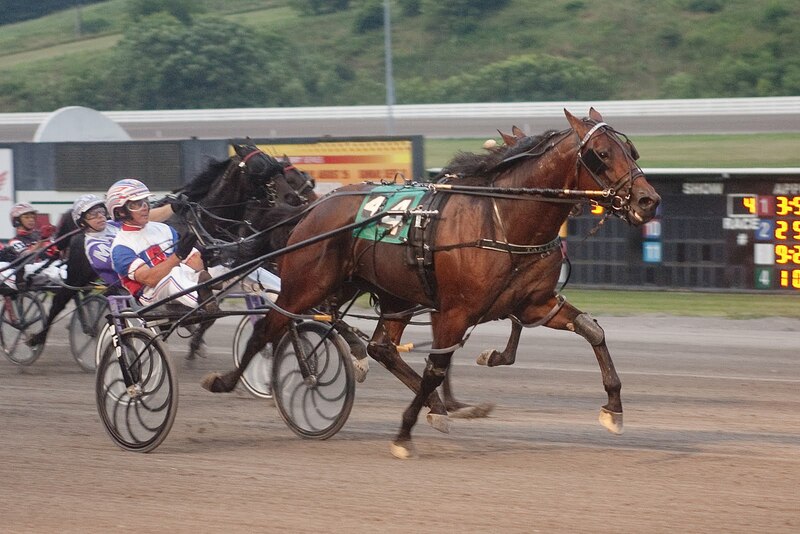 Our successes this past weekend centered around the inexperienced trotters, once again supporting our sire research. It’s not something we do with any horses older than two, since bloodline betting, so to speak, is not nearly as profitable an approach with standardbreds as it is with thoroughbreds beyond two. But the trends we have found over the past few years and have extolled in order to trust improvement in green trotters and pacers have worked in our favor. In elims for the Peter Haughton Memorial Final (colt trotters) and the Merrie Annabelle Final (filly trotters) we struck with strong blood evidence. All you had to do is what we always tell you to do—find the “price” among the contenders we suggest. Such was the case with Big Chocolate, who we mentioned would be largely ignored in the “Haughton.” It turned out he was only 6-1 but even if you went to win with both our contenders (Map Of Hawaii was 33-1) you would have come out ahead, as “Big” won and paid $14.80. With the dead-on favorite second, the exacta was $34 and change. The sire angle for Big, of course, is that he is a Chocolatier product. We have watched that one’s freshmen product since his first crop and succeeded in some great wins. Deeper bloodline information gave us our winner in the “Merrie.” We were impressed with Miss Paris’ sire and dam. Also good with youngsters, Kadabra has had immediate success with many colts and fillies. Miss Paris had twice the credentials, though, as her dam is Pizza Dolce, a terrific gal on the racetrack a few years back who is the producer of a number of stakes winners. Miss Paris was tons the best, paying a generous $8 to win. Saturday we were second in the Adios and the Adios Consolation. The main event offered a surprising 2-1 on Custard The Dragon, as Alsace Hanover went off a terrible underlay as the favorite. In the consolation we were second again with another George Teague, Jr.-trained product, Feel Like A Fool. 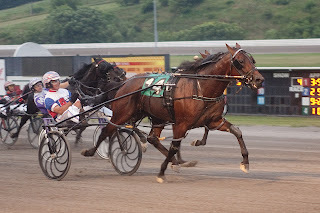 The Hambletonian and “Oaks” eliminations on July 30 were promising but our longshots did not prevail. One, Fawkes, made the final, finishing third at 70-1. 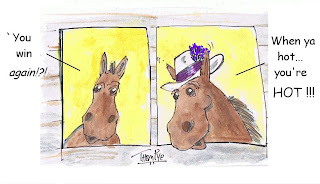 Follow the reviews, results and archives at the Hambletonian Society home page. 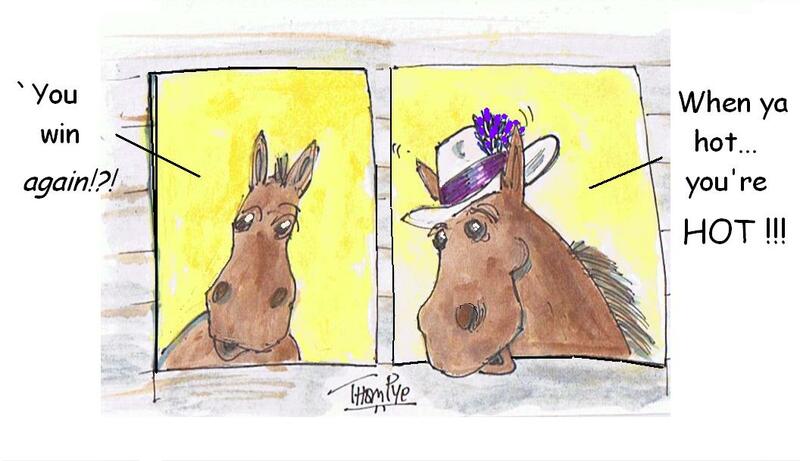 Our exclusive Hambletonian Trail blog will cover various news on next weekend’s big day, so keep checking in to it. We will be at the Meadowlands Friday, Aug. 5 and Saturday, Aug. 6, covering all of the stakes action live from the press box and paddock. We will be tweeting and blogging and getting bettors all of the up-to-the minute info needed to help you wager, pass or simply enjoy the stakes activity. Follow me on Twitter. Hambletonian day, Aug. 6, you can be a part of TwinSpires exclusive Players’ Pool. I will be putting together a number of tickets for the group contributing to the pool of wagers for that day’s program. TwinSpires players can add as little as $10 to the pool, which opens for contributions Monday, Aug. 1. Get all the information by clicking here. I am tossing in in $250 of my own bankroll cash to get things going and will be putting all of my wagering strategies to work that day, while we are cybercasting from the Meadowlands. It is a great educational experience (there are, of course, no guarantees of return). Trainer Jim Campbell is calling upon his brother, John Campbell, to drive in the Hambletonian Final. John decided to return to the bike after recuperating from an accident in May at Chester Downs where he broke his right shoulder and right knee. He was off his crutches for nearly three weeks when he made his return to driving on a colt he co-owns, Live Jazz, in a Hambo elim. “Jazz,” however, did not make the final. John’s brother’s colt, Opening Night, won a berth in the August classic by finishing fourth. Jim said Opening Night was his brother’s mount all along. “The owners and I spoke and we wanted him back [on the colt]. John said he has mo physical issues whatsoever. The brothers unite with a Hambo-final charge for the second time with Opening Night. In 1995 they teamed to win with Tagliabue. Plainridge Racecourse will cut back its racing days starting Aug. 1. Racing will now be held Mondays and Thursdays with a 4 p.m. (EDT) post. You have a great site. It's always a pleasure to read your reviews. Keep them coming!